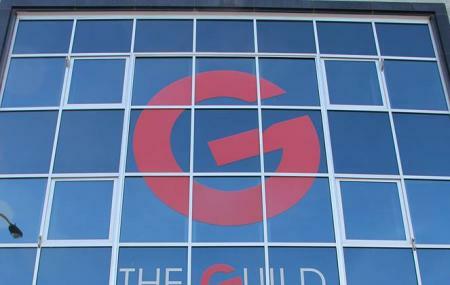 The Guild is a famous event venue in Charlottetown. This hosts famous plays and musical events. The theatre is small yet it gives an awesome feeling while watching the shows. The seats are comfortably cushioned and they provide a good view. Once you go inside the theatre you will like the ambience of the place. Famous play like “Anne and Gilbert” has been hosted several times in this theatre. You can surely visit this place once you are visiting the town. The sound and lights are a perfect combination and you will feel like watching a movie. The experience will be smooth enough. Use Charlottetown trip planner to visit The Guild and many others to your visit. Add accommodation and hotels in Charlottetown that suit your budget including the most recommended ones like The Hotel On Pownal, Charlottetown Inn & Conference Centre and The Sonata Inn. Draft the best Charlottetown vacation packages using ideal templates offered by TripHobo. Also explore how to reach Charlottetown on the go! How popular is The Guild? People normally club together Victoria Row and Province House National Historic Site Of Canada while planning their visit to The Guild. Its a great community space qhich supports local art and theatre. A beautiful venue in downtown Charlottetown with a bar and art gallery in the basement.